Rediff.com » News » Thank you for all the stories, Mr Dickens! Thank you for all the stories, Mr Dickens! Folks, pick up a Charles Dickens' classic today. What better way to wish the Great Man on his 200th Birthday! Today is the 200th birth anniversary of one of the greatest storytellers of all times -- Charles Dickens. Google saluted the writer with a charming doodle, depicting some of his timeless characters like Ebenezer Scrooge and Pip. In England, Prince Charles will lead the commemoration of the bicentennial by laying a wreath at Dickens' grave in Westminster Abbey, London. The special service at the Abbey will include readings by actor Ralph Fiennes, who plays the role of Magwitch in the upcoming film, Great Expectations. A separate reading will be done by actress Gillian Anderson who played the role of Miss Havisham in a BBC adaptation, also of Great Expectations. Others who will read from Dickens include biographer-actor Simon Callow and actress Sheila Hancock. Free cupcakes for the first 200 guests! 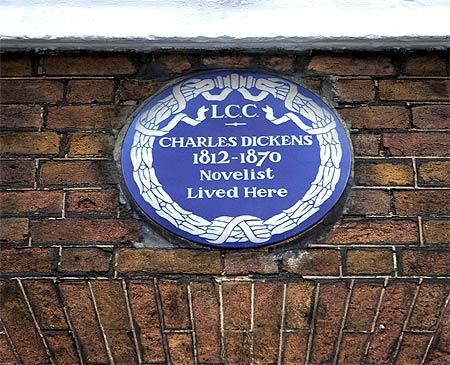 Prince Charles and his wife Camilla, the duchess of Cornwall, will also visit the Dickens Museum where the novelist lived for two years. The first 200 guests will get free cupcakes, courtesy the museum. 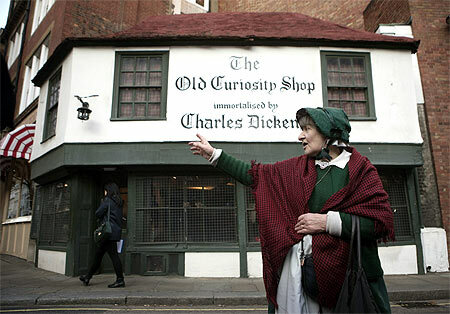 Dickens' descendants will participate in the tribute, both at Westminster Abbey and at his birthplace of Portsmouth. Charles Dickens was born in Portsmouth on February 7, 1812 and died in Kent in 1870. Having seen hard times as a child, his works reflected a lot from his own encounters with poverty. 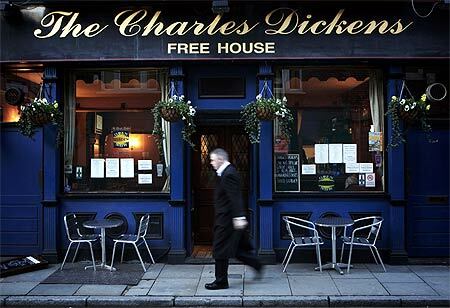 Image: The Charles Dickens pub in London. Such is the charm of his novels that films and television adaptations of his novels continue to be made, 200 years after his birth. Each of his 15 novels have been filmed at least twice. Some of the best actors in the world have played Dickensian characters that he so wonderfully crafted. Some of Dickens's characters remain larger than life and are part of the popular imagination -- Ebenezer Scrooge, Oliver Twist, Pip, Miss Havisham, Fagin, David Copperfield, Uriah Heep, The Artful Dodger etc -- some of English Literature's most memorable figures. 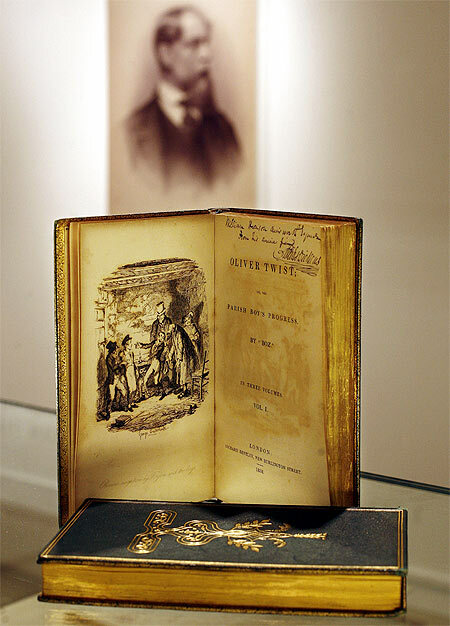 The original manuscripts of many of Dickens' works are stored in the Victoria and Albert Museum, London. The novelist is also commemorated on the 10 pound note issued by the Bank of England a few years ago. Other events being organised to celebrate the event include a readathon across 24 countries organised by the British Council. It will begin in Australia with a reading from Dombey and Son, continue with Nicholas Nickleby in South Korea, A Christmas Carol in Kazakhstan and conclude with The Mystery of Edwin Drood in the UAE. In India the British Council will screen a collection of seven films based on or inspired by Charles Dickens and has invited contemporary Indian writers in English to contribute pieces on what they feel Dickens would write today. A Dickens newspaper and an iPad app using his work as content will also be launched, respecting the format Dickens himself used. So folks, pick up a Dickens' classic -- what better way to wish the Great Man a Happy Birthday!